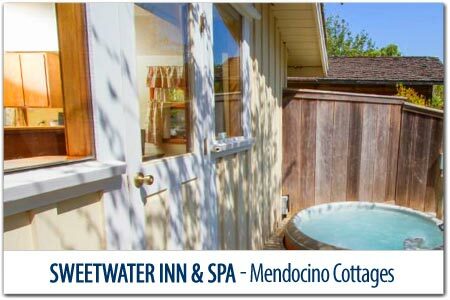 Mendocino Bed and Breakfasts are most often located within an Historic Victorian that's been renovated to accommodate overnight guests in private bedrooms. 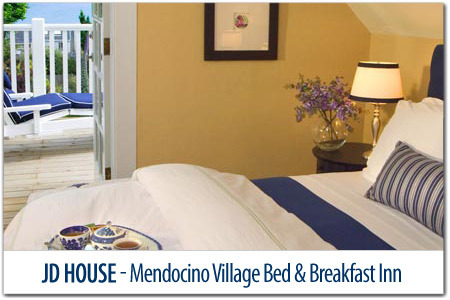 Homemade breakfast is included in the price, usually served to your room or in the main dining parlor. 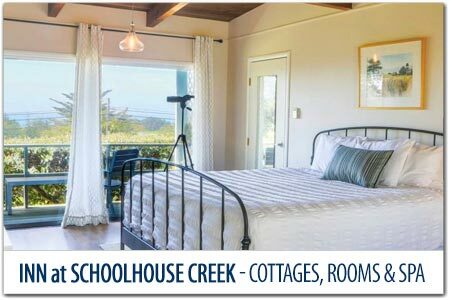 Travelers who enjoy interacting with local innkeepers, and other guests prefer these accommodations when seeking to experience the local flavor and charm. 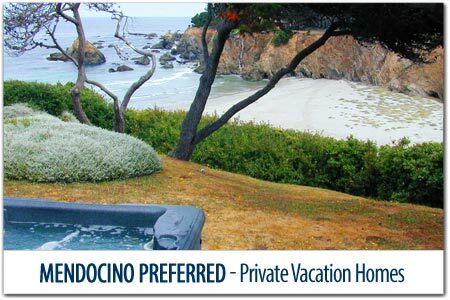 Mendocino Hotels and Luxury Resorts usually offer multiple guest services. 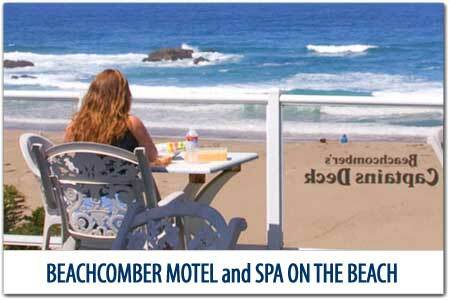 You'll also find B&B Inns in this category if they feature a restaurant, day spa or other activities. 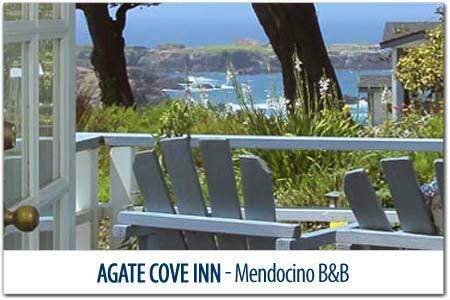 Many Mendocino Hotels have conference areas that invite groups to hold gatherings at their location. 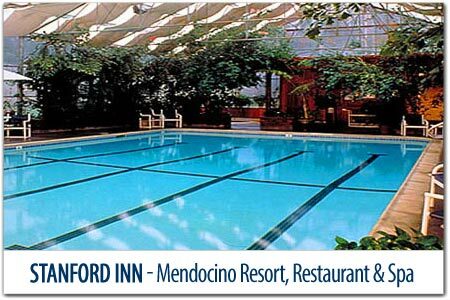 Mendocino Hotels differ from motels in that most motels have exterior entrances to the rooms. 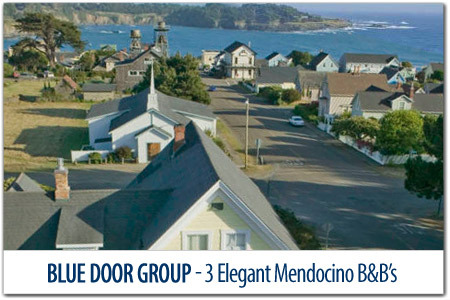 Stay on Mendocino's quiet side. 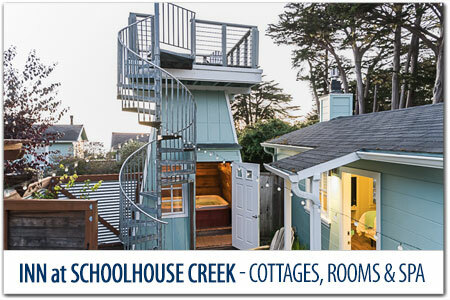 This Historic 1860's farmhouse has rooms and cottages that sprawl across 8 acres of garden meadows, with hot tub and beach access. 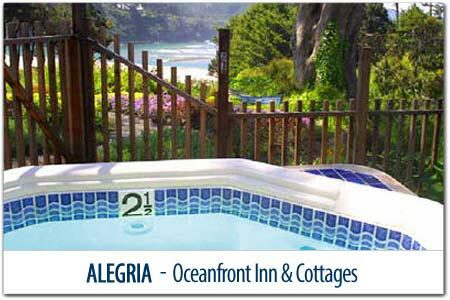 Select from a nice selection of forest and ocean views. 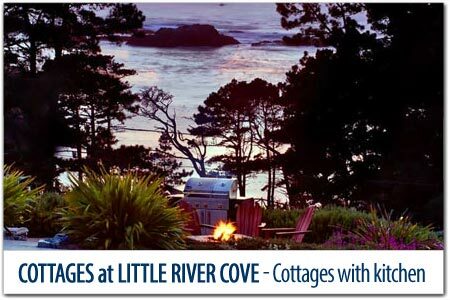 This bed and breakfast with cottages is perched within beautifully landscaped flower gardens on a hill overlooking the sea. 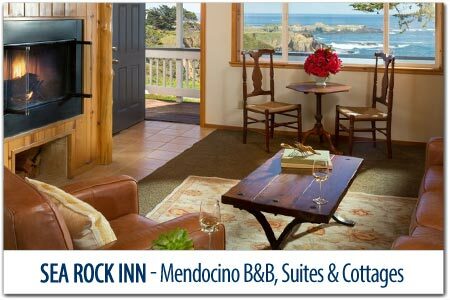 All of the suites have spectacular panoramic ocean views of waves crashing on the rocky cliffs of Mendocino Headlands Park. Includes Breakfast. 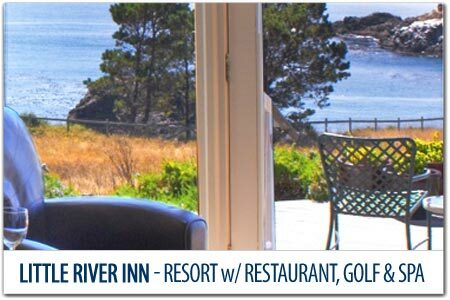 Sitting atop a meadow overlooking Mendocino Bay, The Stanford Inn offers superior accommodations, with wood burning fireplaces, enclosed year-round pool, sauna and spa and a complimentary gourmet breakfast cooked to order. Guests are pampered in the Forest Spa and private yoga sessions. On-site canoeing and kayaking on Big River, and more. 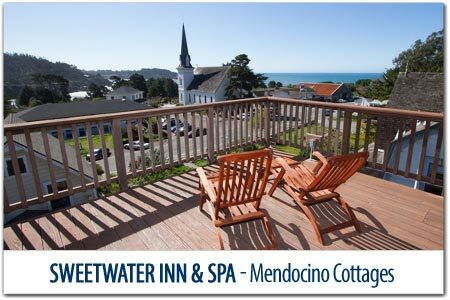 Enjoy beautiful Mendocino California from one of Sweetwater's stylish vacation rentals. 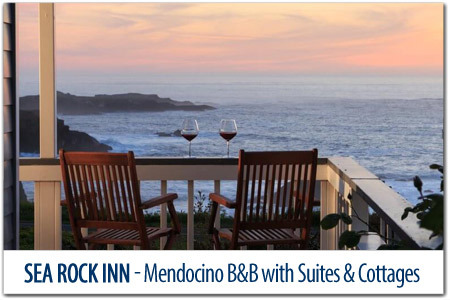 Located in and around Mendocino, the Inn has rooms, cottages and vacation rental homes that are perfect for couples, and family getaways. 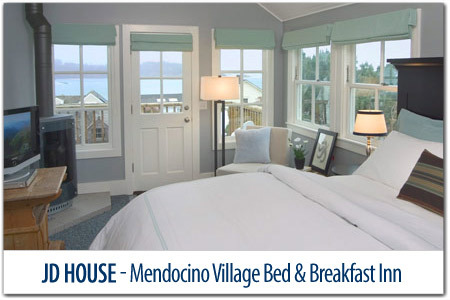 In Mendocino Village, this three-room cottage is perfect for folks that need 2 separate bedrooms. 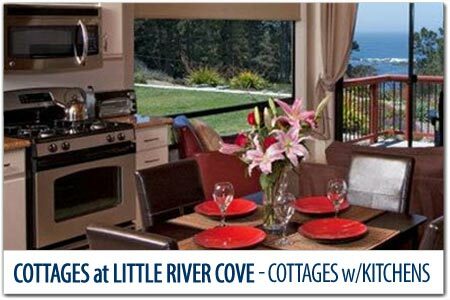 Each bedroom has a queen bed, the cozy kitchen has an ocean view dining table, and large private deck with full ocean view. 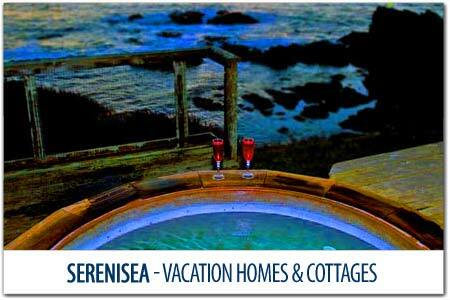 Full Breakfast is included, and there is NO Cleaning Fee, making this cottage a nice value.